Soba, with a trend-like influence in a place that opened in 1884 and looks the part. In a good way. 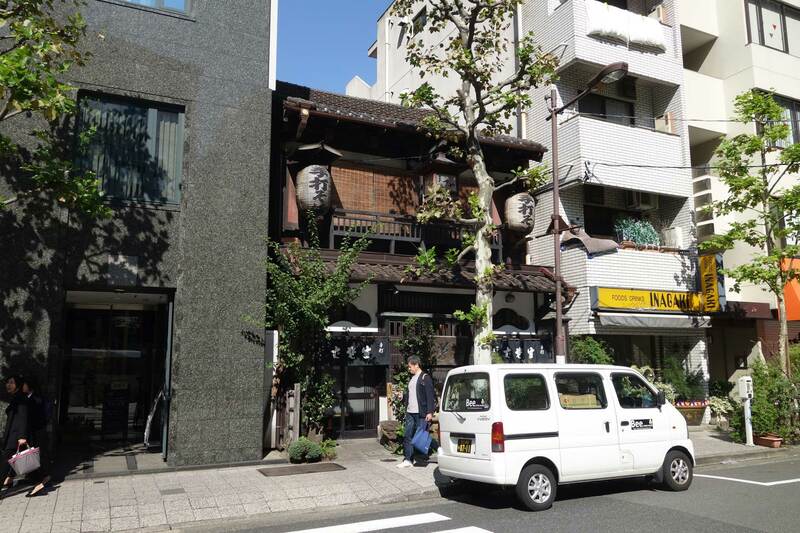 The nearest metro station is Awajicho, but you can just as well – and maybe more interestingly – walk to Kanda Matsuya from Akihabara station. That, of course, will lead you through a part of Tokyo that you have probably heard about, and that is interesting to see, anyways. Akihabara is well known for the many electronics stores located there, beginning right at Akihabara Station. And so, things become all the more interesting as you have walked these roads of lots of traffic, many stores, modern electronics and consumerism… and then you get to Kanda Matsuya, and it’s straight out of some historical photograph. Low, two-storey building, wooden façade. As they open, they hang up the customary ‘curtain’ across the entrance. As a recognizably foreign visitor, the English version of the menu is gladly delivered. It doesn’t tell you much, actually (no details), but enough to know the names of the dishes on offer and the major ingredient, if there is a special major ingredient – such as chicken in the Kashiwananban that I felt like having. 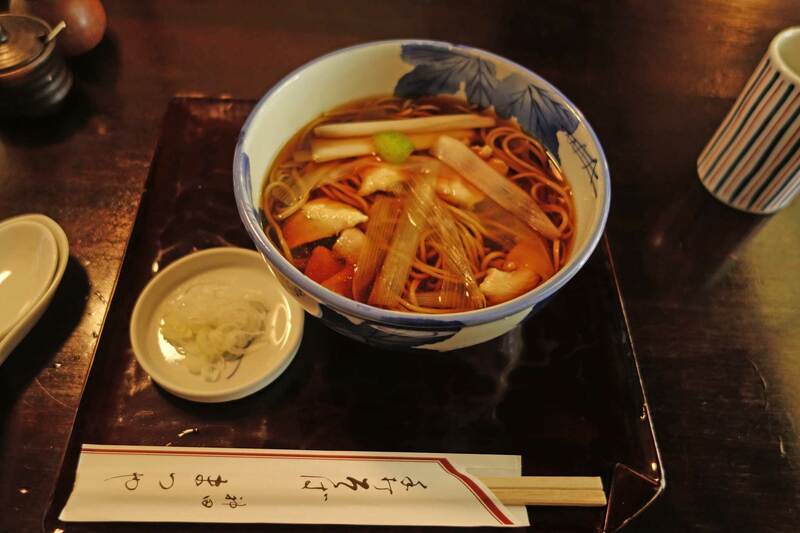 The standard among dishes would be kake soba (hot soba noodles in broth) or cold zaru soba. The noodles were pretty mild in taste, as good soba tends to be, the broth similarly light, with a distinct note of citrus that made for a very interesting combination of dashi-typical umami and a slight acidity that I had not tasted before. With a bit of chicken meat, it was all a satisfying small meal that whet my appetite for more, and a combination of aromas that would prove a good appetizer for what was to come. Few seats, so expect a wait if you don’t arrive at a non-busy time; no reservations.